When I first read this prompt, it sparked a memory from my childhood. When I was about eight years old, my mother asked me to identify an ideal—a person who epitomized characteristics that I would like to have when I grew up. I chose Elaine, a teenager whose family had recently moved into the house across the street. That house used to belong to my best friend Bonnie Ann’s family, but during the week my baby brother was born, while I stayed with my Aunt Monika and Uncle Hughie and my cousins Monica and Billy, Bonnie Ann’s family moved away. One day, I guess to get me out of her hair, my mother suggested I cross the street and introduce myself to our new neighbors. She promised me a girl lived in Bonnie’s old house. “Well, I’m the girl,” she said, throwing the door wide open for me to enter. “I take piano lessons,” said the girl, whose name was Elaine, the most beautiful name I’d ever heard. She sat down at the keyboard and played a few songs for me. I admired her long hair, which hung down her back in a braided ponytail. She wore butterfly-wing eyeglasses. I visited Elaine often during the next few months. She always tolerated me for a half hour or more, then politely begged off so she could do her homework. Eventually, I spent more time with friends my own age, but Elaine and I always waved to each other or spent a few minutes talking when we saw each other around the neighborhood. “Because she’s nice, and she’s pretty, and she plays the piano, and she’s smart.” That pretty much summed up everything I aspired to. “Okay,” she replied, seemingly satisfied. And every now and then (usually when I was procrastinating from practicing piano) my mother would chide, “What do you think Elaine is doing right now?” The notes of Elaine’s piano floated through the open window, nudging me toward my piano bench. When I entered high school, my friend Patty pointed out an upper class girl and said, “She’s my ideal.” She then enumerated all the reasons why she wanted to be just like her. Patty was the only one of my friends who ever spoke about having an ideal. When I read The Daily Post’s prompt for January 11, 2016, it occurred to me that my mother (and maybe Patty’s) must have been trying to counteract the influence of cultural idols in my life. 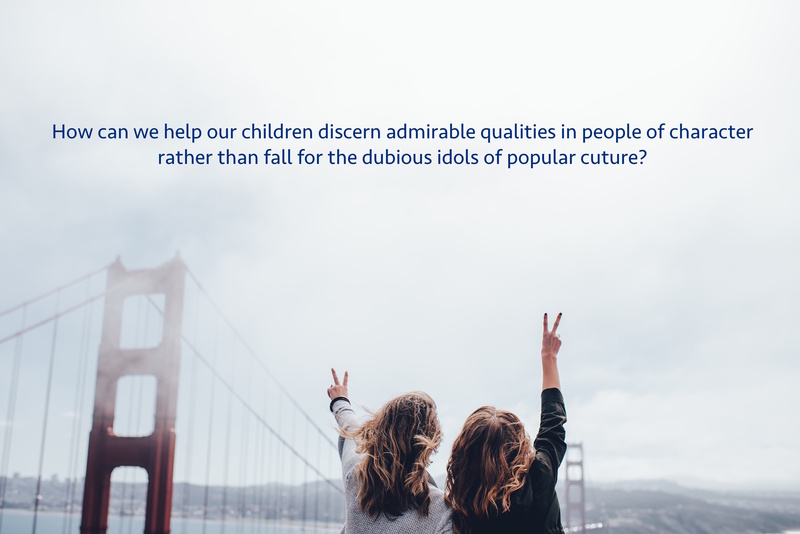 The teen-age idol is someone who is “worshipped” because of celebrity. My mother wanted me to admire people because of their character. Although I did succumb to popular mania (see that story here), I learned to appreciate excellence over popularity. Thanks, Mom. This entry was posted in Doing Life Together, Family Life, Friendship, Ideals, Parenting, Practicing piano and tagged children, friendship, Ideal, idols, memoir. Bookmark the permalink. Hi Andrea, I had a hard time trying to register and add my comments so I thought I’d just respond that I remember when you stayed with us and the piano lady, I remember you playing yours. Thank you for going to the trouble of registering. And yes, staying at your house was a fond memory. I remember your Dad bought each of us balsa wood gliders and we flew them in the street. Very interesting and enjoyable storytelling!